Optimist? Pessimist? Realist? Legalist? How about Faithist? | Redeemed! Optimist? Pessimist? Realist? Legalist? How about Faithist? We’ve all heard the classic test to determine whether an individual is more of an optimist or a pessimist. 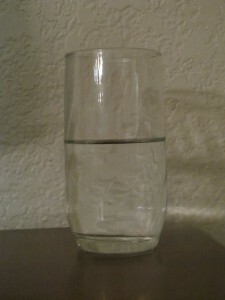 Fill a glass half up with water and ask them to describe what they see. 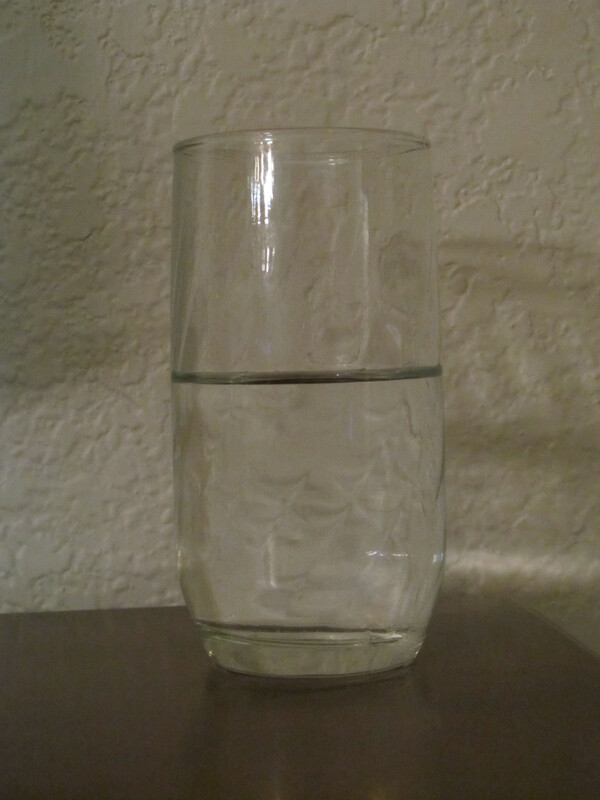 If they say the glass is half full, they are an optimist, and if they say it is half empty, then they are a pessimist. I used to call myself a realist. I made a point of not falling into the trap of putting either a positive or negative spin on the observation, and said simply that I saw a half-a-glass of water. I said I was a realist, but I actually behaved more like an optimist…or maybe optimist combined with legalist. Though I would not have verbalized it, I actually behaved based on a belief that, for important life situations, if I worked hard enough, prayed long enough, and believed deeply enough, that it would all work out fine. Of course, this perception required that if things continued to digress, then I felt compelled to work harder, pray longer, and believe deeper. I have discovered, however, that things don’t always work that way. Sometimes, really bad things happen, and sometimes situations don’t work out at all like we wanted or expected. Yet, optimism never considers that possibility, and legalism refuses to accept that possibility. So when the unthinkable happens, optimism and legalism simply fall apart, leaving no hope and no explanation. God never promised that bad things would not happen. He does, however, promise to be with us as we go through difficult situations, and He does promise to give us the grace and strength necessary to endure whatever difficulties we face. He also promises that “…God causes all things to work together for good to those who love God, to those who are called according to His purpose” (Romans 8:28). Faith recognizes that sometimes bad things happen, yet refuses to live in fear, choosing to live, instead, trusting in God’s goodness even in the midst of horrific circumstances. “Do not fear, for I have redeemed you; I have called you by name; you are Mine! When you pass through the waters, I will be with you; and through the rivers, they will not overflow you. When you walk through the fire, you will not be scorched, nor will the flame burn you. For I am the LORD your God, The Holy One of Israel, your Savior;” Isaiah 43:1-3. How about you? What areas of your life have you been living based on pessimism, optimism, or legalism, rather than by faith? This entry was posted in Faith and tagged bible, biblical, christian, faith, god, grace, legalism, living, optimism, perspective, pessimism by joe. Bookmark the permalink.